List pages from your site indicating Google already knows of your website. Your search – <Your URL> – did not match any documents. Why have we done this ? We have used Google to search for your web address or URL which is a simple check to find out if Google has previously visited your site. 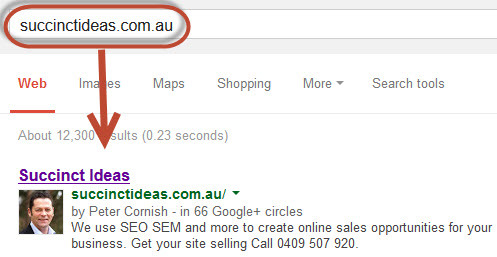 If your site hasn’t been indexed by Google (ie it is ‘unknown to Google’) then it wont appear in Google search results. Period. Google and other search engines can’t spontaneously find your site; they have to be introduced to it intially. Houston we have a problem! If Google doesn’t know about your website then its invisible to search. Prospective clients will never find your site unless they already know your website address. This is bad, and only about 1 in 30 sites I work on have this issue.